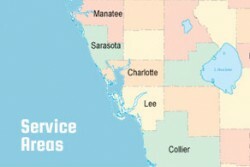 ABC Fire Equipment offers a full range of service to Bonita Springs, Florida. If you are looking for a local company to service your fire system, or to provide you with parts, we can help. We specialize in providing services to clients big and small, so no matter what your needs are, we are here to assist you. If you are located in Bonita Springs, please contact us to get more information about what ABC Fire Equipment can do to meet your fire system needs.